Trade Notice No-01/2019 dated 08.01.2019- Re-opening of Migration window for taxpayers who received provisional IDs but could not complete migration process- procedure to be followed- extension of time- Reg. Mysuru Public Notice No-01/2019 dated 04.01.2019-Designation of CPIOs and Appellate Authorities in Mysuru GST Commissionerate under Right to Information Act, 2005- Reg. Trade Notice No. 22/2018 Re-opening of migration window for tax payers who received provisional IDs but could not complete the migration process - procedure to be followed - reg. Trade Notice No-06/2018 dated 15.03.2018- Nomination of Nodal officer for UIN purposes -Reg. Trade Notice No-20/2017 dated 29.11.2017- Assignment of Taxpayer base between the Central Government and the Government pf Karnataka-Reg. B-S: Public Notice No. 01/2017 RTI dated 20.07.2017: Right to Information Act, 2005- Implementation- Reg. 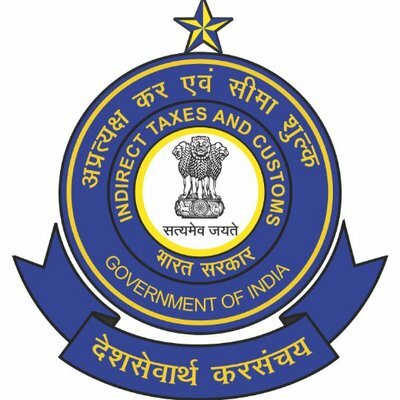 Trade Notice No-03/2017 -Notifications issued by Board pertaining to CGST Act, 2017, IGST Act, 2017 and Goods and Services Tax (Compensation to States) Act, 2017. Trade Notice-02/2017 28.06.2017:Goods & Service Tax(GST)-Central Processing Cell(CPC)-Proper Officers-authorization-Reg.